I LOVE a good Italian sandwich, or as we call it, a sub. 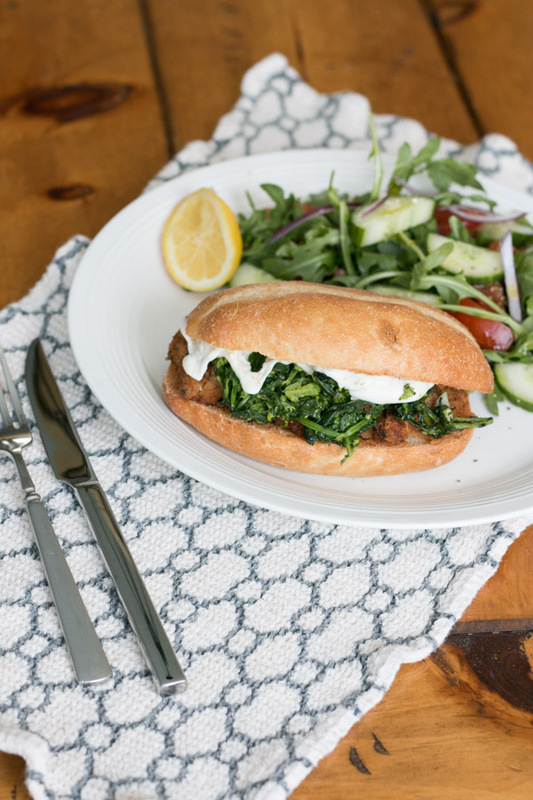 This Chicken Cutlet, Broccoli Rabe & Fresh Mozzarella Sub is served on a toasted garlic bread roll and is by far one of our favorite combinations! This is my kind of comfort food! There are many things in Italian cooking that are really simple and basic but so so good- like the perfectly crisp chicken cutlet. Whether on its own, served over a salad, turned into chicken Parmesan or paired up with broccoli rabe you really can’t go wrong! I love the flavor combination of the crisp cutlet, the slightly bitter broccoli rabe, gooey fresh mozzarella and a toasted garlic bread roll! This sub is absolutely heaven! I know that broccoli rabe is a bit of an acquired taste as it can sometimes be on the bitter side. Having grown up eating it, its one of my very favorite greens. Its so hearty and good for ya! If its not your thing, thats ok! You can easily sub out sautéed spinach instead. I love it so here I simply cook the broccoli rabe in boiling salted water until tender. Drain then give it a quick sauté with a little olive oil, fresh garlic and red crushed pepper. Lets talk about that golden cutlet for a minute….. I prefer a thinner cutlet so I always pound my chicken breasts out a bit. Its really so simple to make these. I simply dredge the cutlet first in whisked eggs then coat in Italian seasoned breadcrumbs. I will say, a little trick that I’ve found to help keep the breading on there during cooking is to bread the cutlets ahead of time and allow them to just hang out in the fridge for a bit. The coating sets on the cutlets and stays in place while cooking. To cook them, heat a good heavy pan with olive oil and cook until golden on each side. Ok the bread- I picked up rolls and added another layer of flavor by brushing on melted butter, sprinkling some garlic powder, salt and fresh parsley. Toasting them in the oven just until lightly golden before building the sub. I went with fresh mozzarella because I am obsessed with mozzarella and love how it melts. 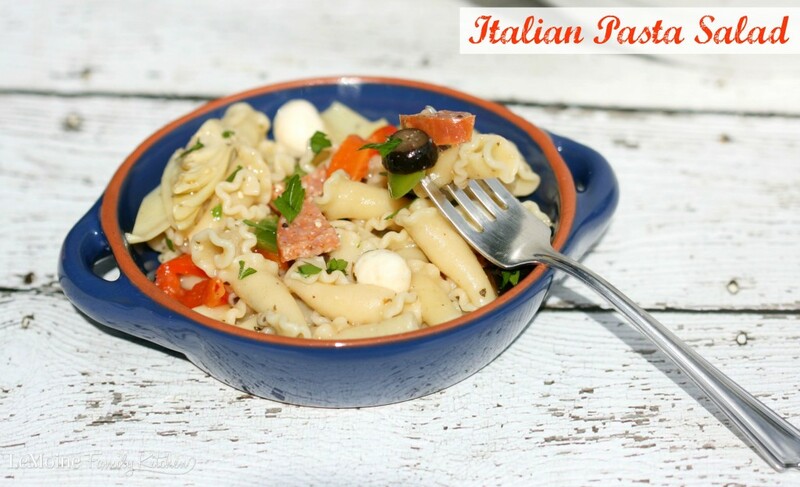 If you prefer a stronger cheese, provolone would work great here as well! 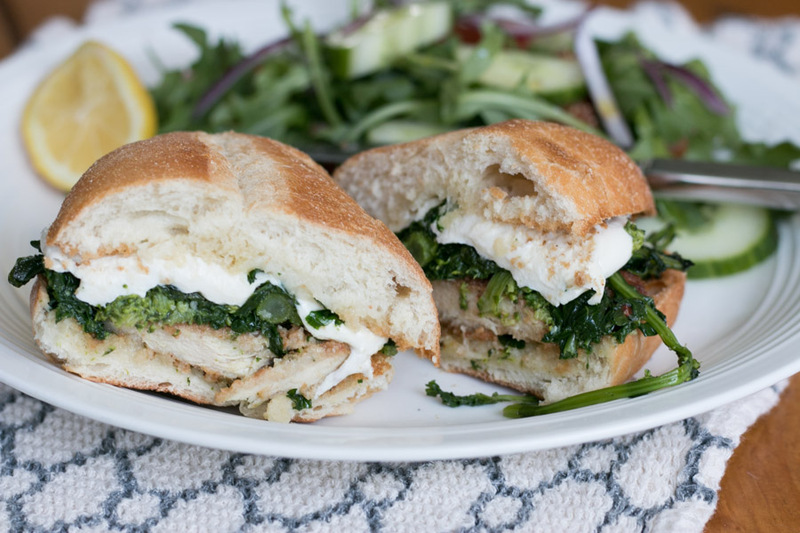 Either way, this Chicken Cutlet, Broccoli Rabe & Fresh Mozzarella Sub is AMAZING!!! Start by breading the cutlets so they have some time to rest. Dredge the pounded cutlets in the egg then coat well with the breadcrumbs. Set aside. Get a large pot of water boiling. Add several pinches of salt and the broccoli rabe. Cook until tender. Drain and set aside. In a skillet over medium low heat, add a few drizzles of olive oil, the fresh garlic and crushed red pepper. Once the garlic is fragrant toss in the broccoli rabe and shut the heat. Ok time to fry the cutlets. In a large heavy skillet, add in enough olive oil to coat the bottom well. You can check the temp of the oil by carefully dropping in a piece of bread crumb. If it bubbles around it, the oil is ready. Cook the cutlets about 3- 4 minutes per side, until golden. Place on a cooling rack. Prep the rolls. Slice open, brush melted butter on the insides of the rolls, sprinkle with a little garlic powder and so fresh parsley. Pop under the broiler for a couple minutes until golden. Assemble the subs. 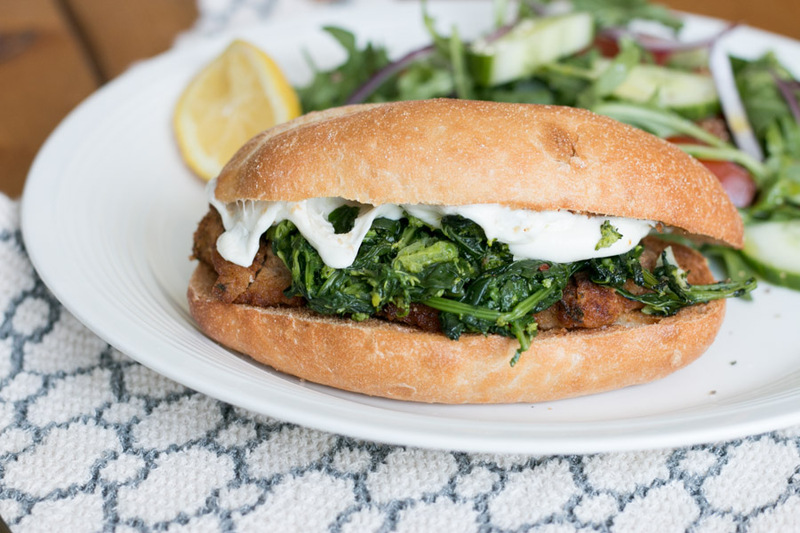 A cutlet topped with the broccoli rabe and a couple slices of fresh mozzarella. Serve with a simple salad.